Model United Nations is an academic simulation of the United Nations where students play the role of delegates from different countries and attempt to solve real world issues with the policies and perspectives of their assigned country. Model UN motivates students to learn and teaches them about world issues. It is a way to become an active, more concerned global citizen, while in this era of globalization, being globally aware is more important than ever. Furthermore Model UN builds confidence and leadership and diplomatic skills . MUN is an exercise in research, public speaking, and teamwork. Model UN is an integral activity of Mayo College Girls’ School,Ajmer.We started organising MCGSMUN from 2012 and have conducted it for six consecutive years where more than 300 delegates from the leading schools of Asia participate. 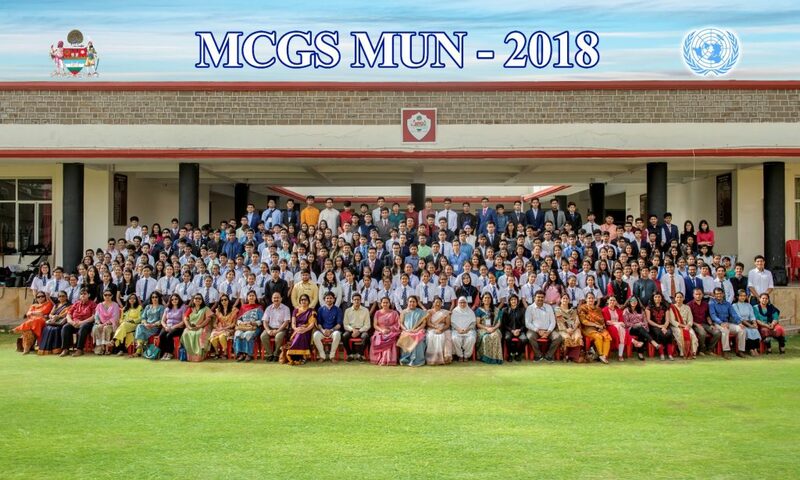 Students have been participating actively in many national MUNs such as Doon school MUN, Cathedral MUN,LMCMUN, WELMUN, Pathways MUN,BVCMUN and JPHSMUN. At international level students have participated in Ivy League MUN,UCLA – Bruin MUN,Yale Model Congress, Harvard Model Congress in Hong Kong,WIMUN in UN headquarter,WIMUN India and Harvard India where they have performed exceedingly well. We have more than 150 students who participate in this activity every year.This activity has surely made the students independent thinkers.